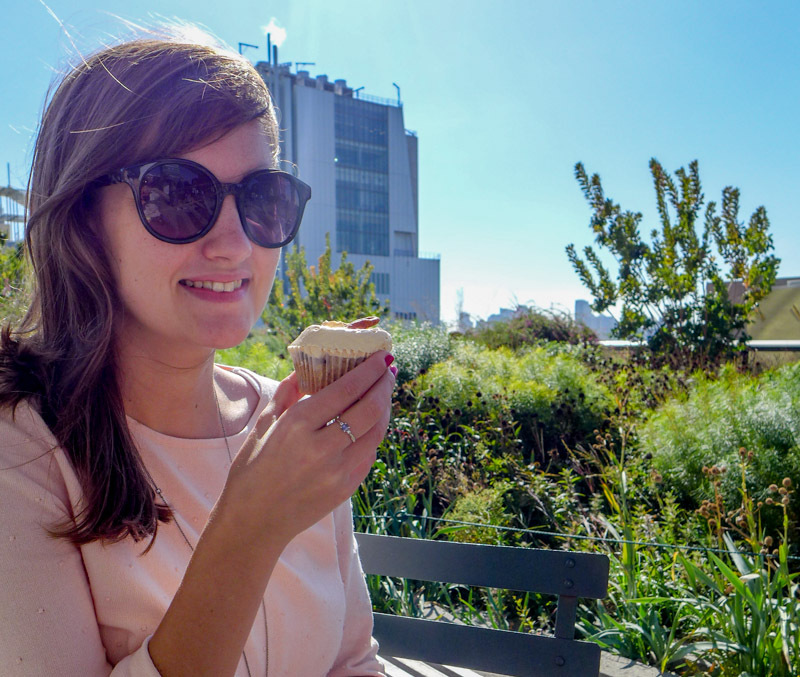 Cronuts and macaroons may now rule the treats here in New York, but once upon a time, the cupcake was king. 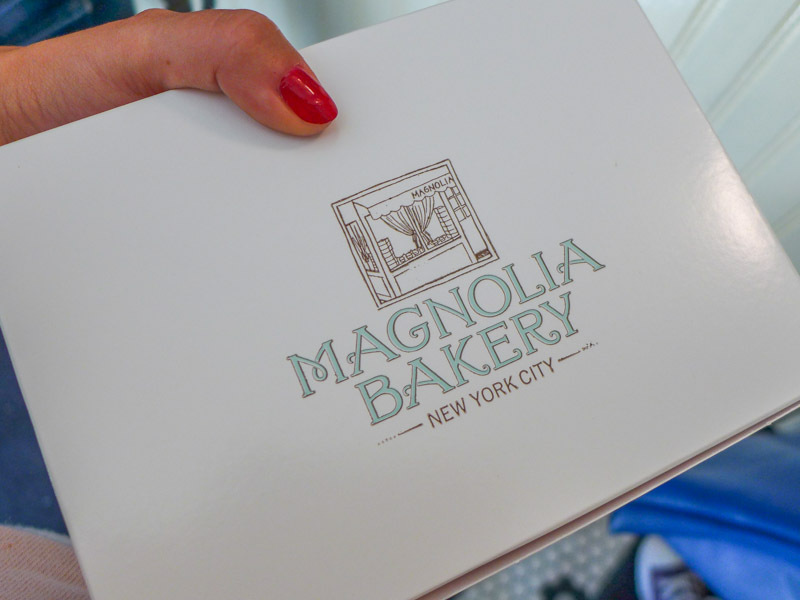 Leading the way was Magnolia Bakery, which first started whipping up cupcakes from leftover batter at its Bleecker Street store in the 1990s, sparking the mania. 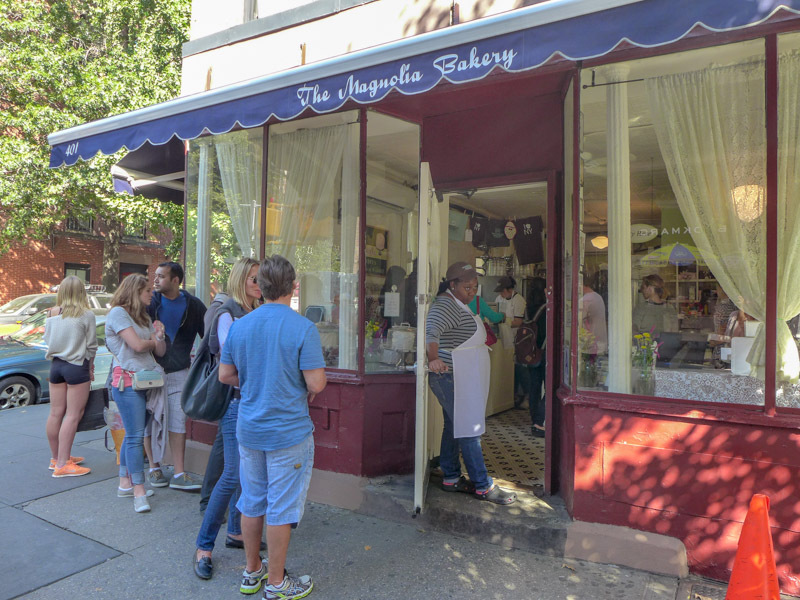 Two decades on, even though the cupcake craze may be crumbling, Magnolia seems to be surviving… if the queue around the block is anything to go by. It’s a shame the cakes are rubbish. 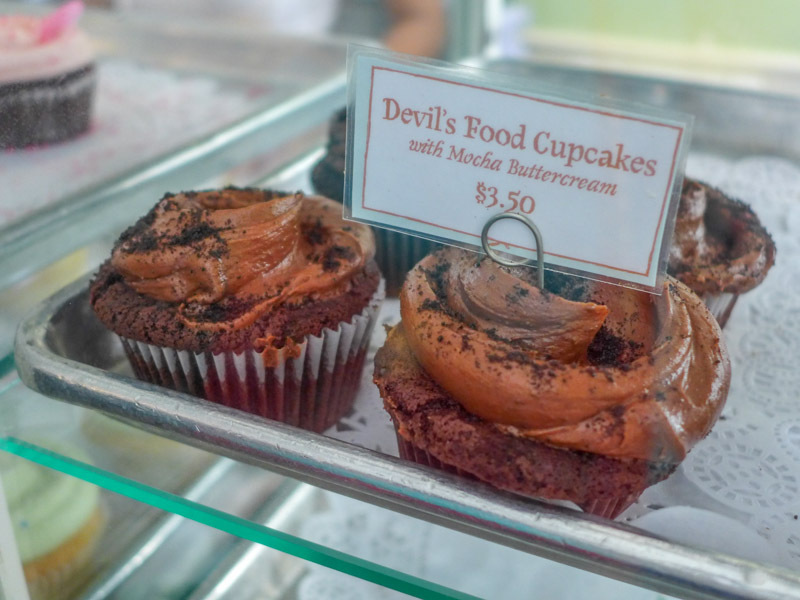 I’ve never eaten a cupcake from there before so as Charlotte and I wandered through (glorious) Greenwich Village last week, we decided to stick out the crowds and see what all the fuss was about. The shop itself is a winner. 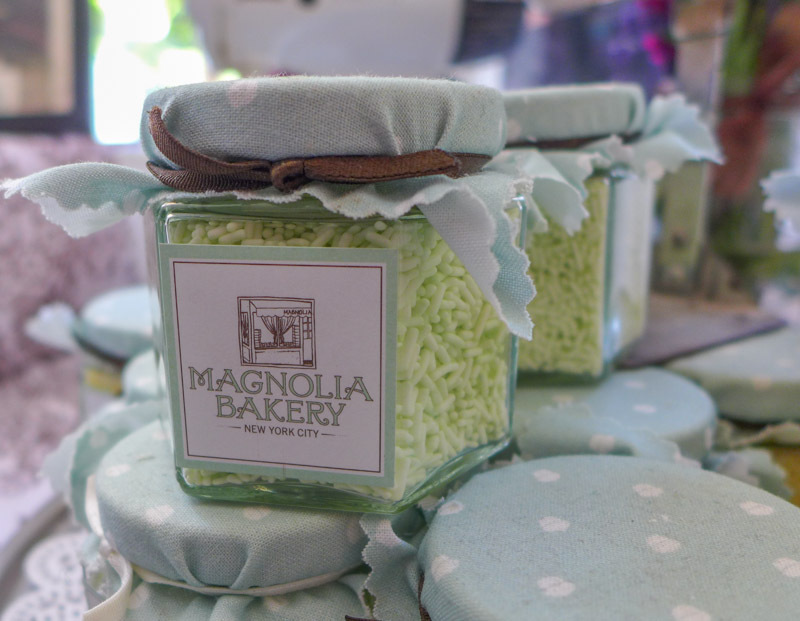 It has olde charm thanks to twee decorations and soft pastels – as well as stacks upon stacks of icing-slathered cakes. 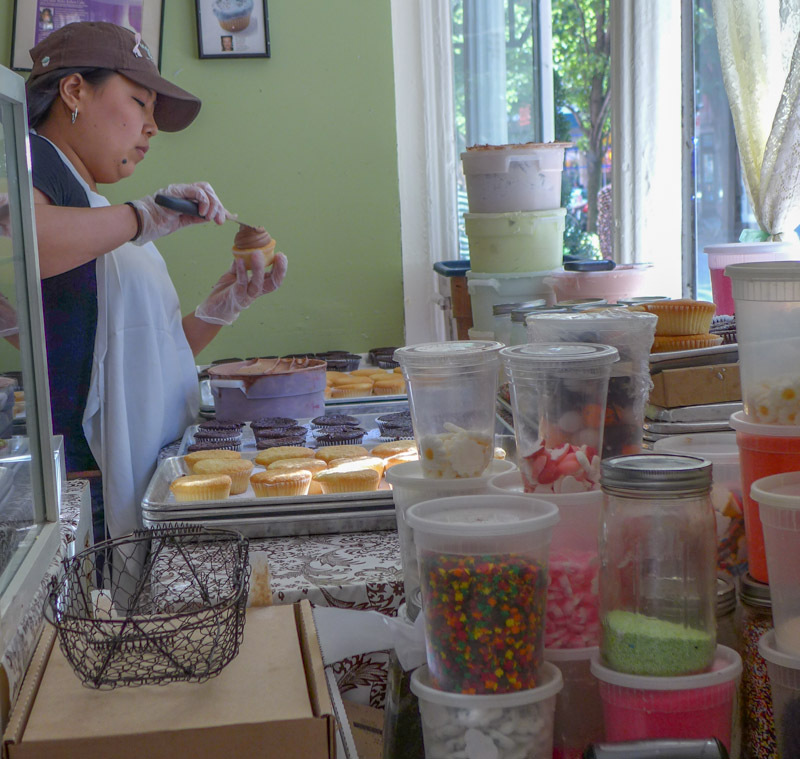 But with all of those queues, the staff aren’t there to make friends – so it’s less like the charming neighborhood spot it appears to be, and more like a factory line business. 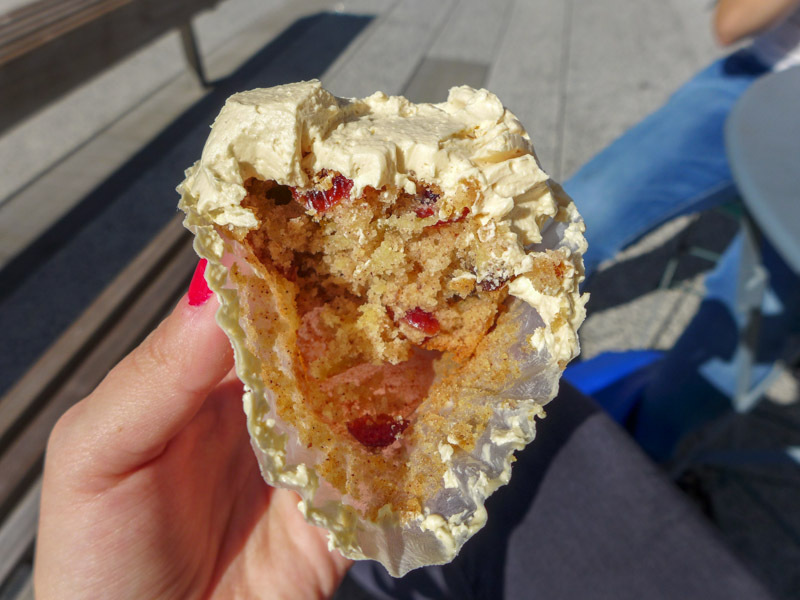 After about 20 minutes of queuing, I decided on a Harvest Apple cupcake (with raisins, cranberries and pecans inside), while Charlotte opted for a simple vanilla. 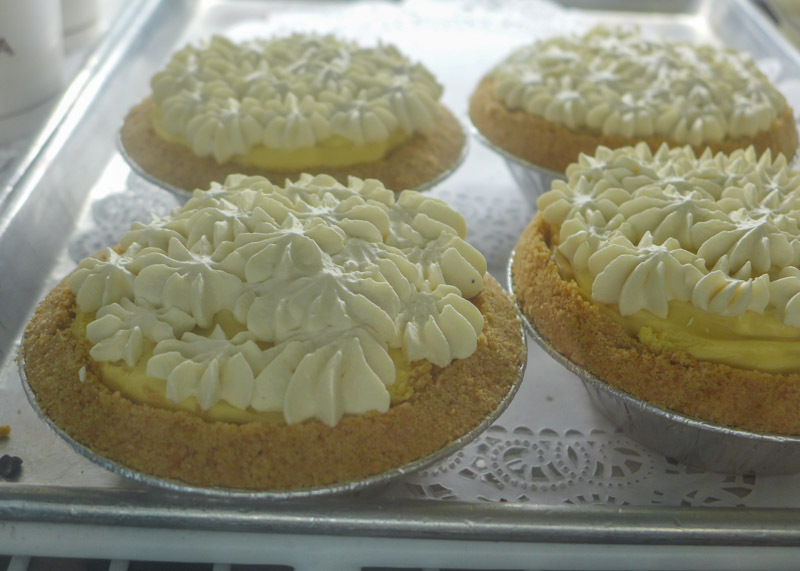 I had been really tempted to go for the banana pudding (because what sounds better?) 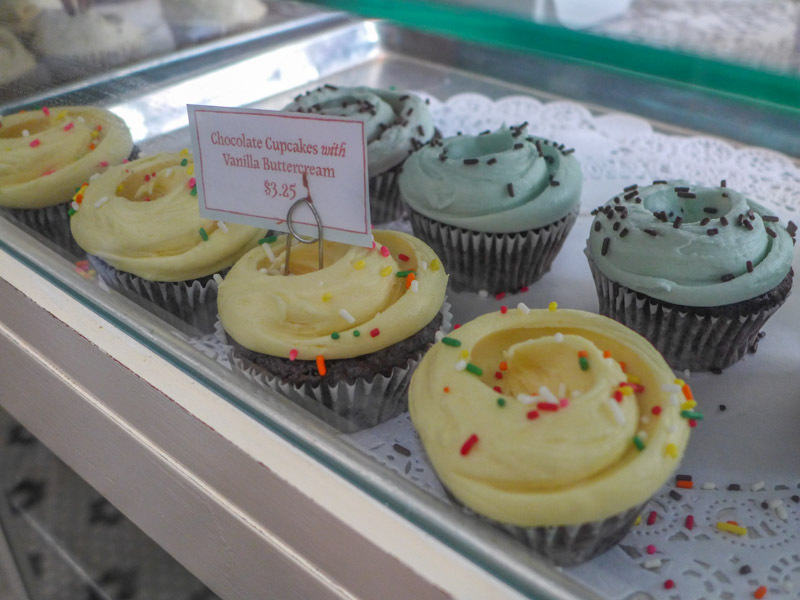 but I decided it would be wrong to visit the bakery and leave cupcake-less. We eventually left with our box and headed to the High Line to sample. Man, the cake was dry. Dry and tough and maybe even a day old. 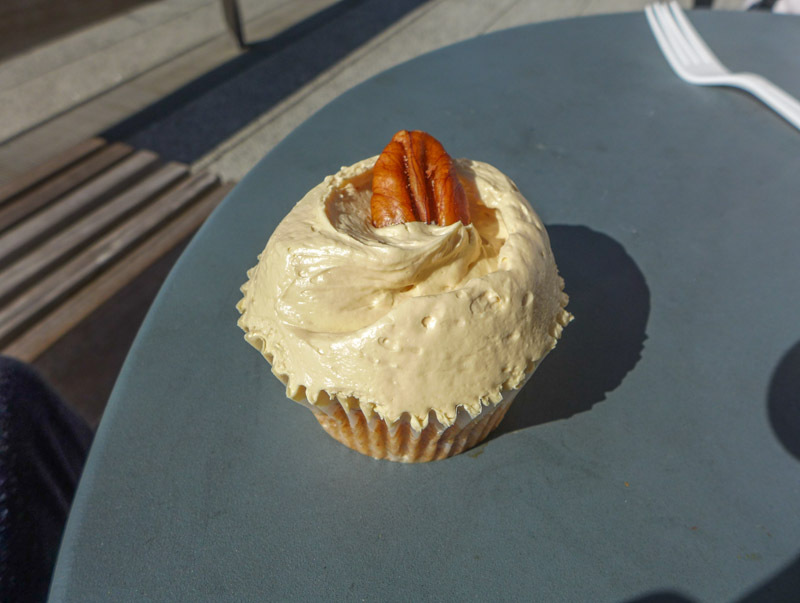 The icing was a shame, too – it was heavy and tasted of sugar, rather than complementing the flavor of the batter. With crumbs still left in the paper, we decided to give up. 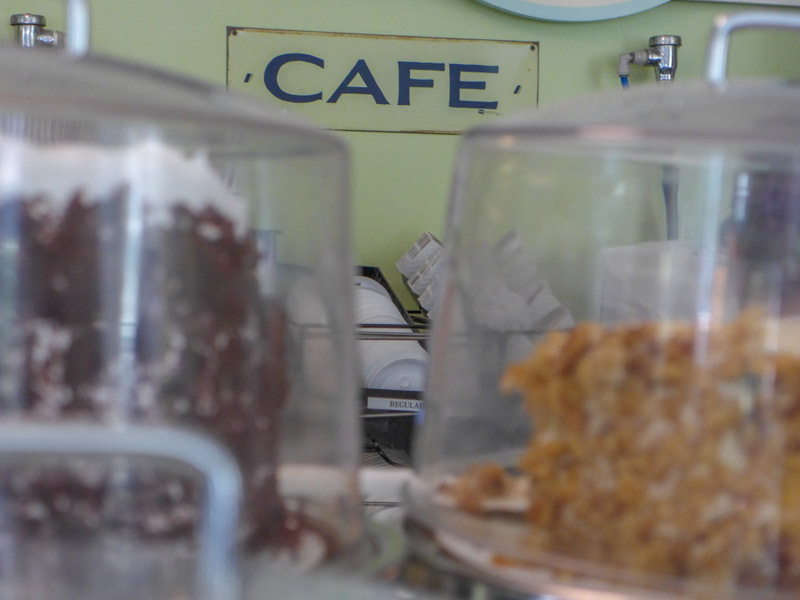 It had only taken one mouthful to regret not going for the banana pudding. And afterwards, I felt… blurgh. If you want my advice, admire the shop from the outside. 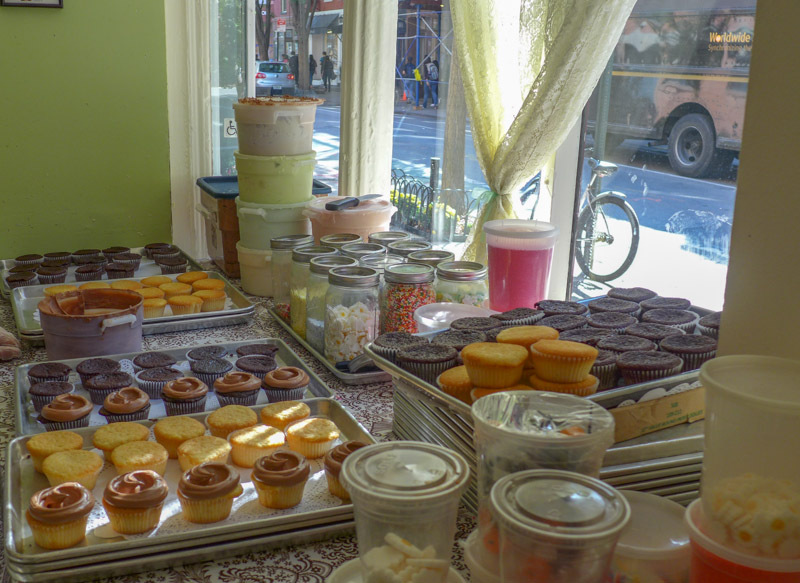 Then head to Georgetown Cupcakes in SoHo, where the staff are as sweet as the cakes, and the icing is so light and fresh that you don’t have nearly half as much remorse. Or if you want far less than half the remorse, grab one or two teeny tiny cakes from Baked By Melissa. 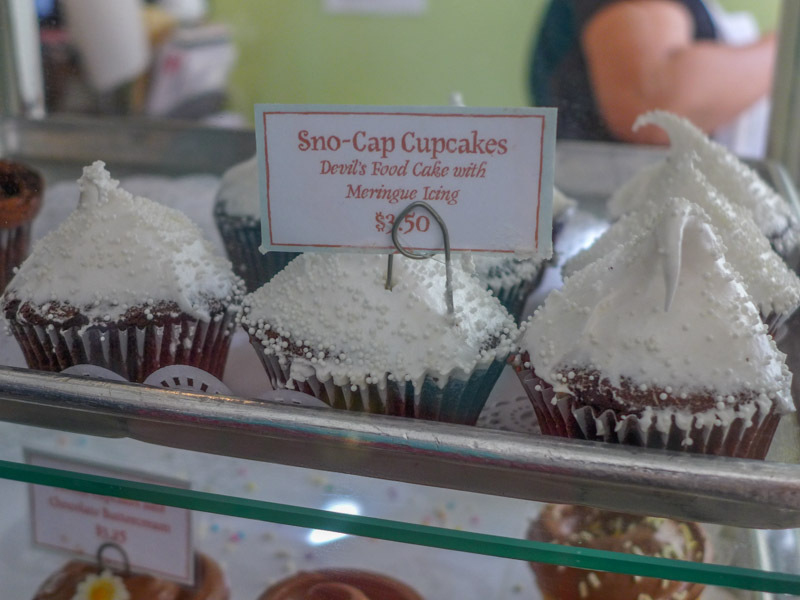 And for something really creative, try out Prohibition Bakery; the bakers serve up boozy cakes (from Dark and Stormys to Margaritas), which are really fun. I’m sorry, Magnolia. I thought you could do batter than that! I think you’ve been spoilt with my cupcakes! Yep, I think most locals know Magnolia is way over hyped. Tourists must keep them in business. I’ve been by many times- never seen a line out the door! Wow! 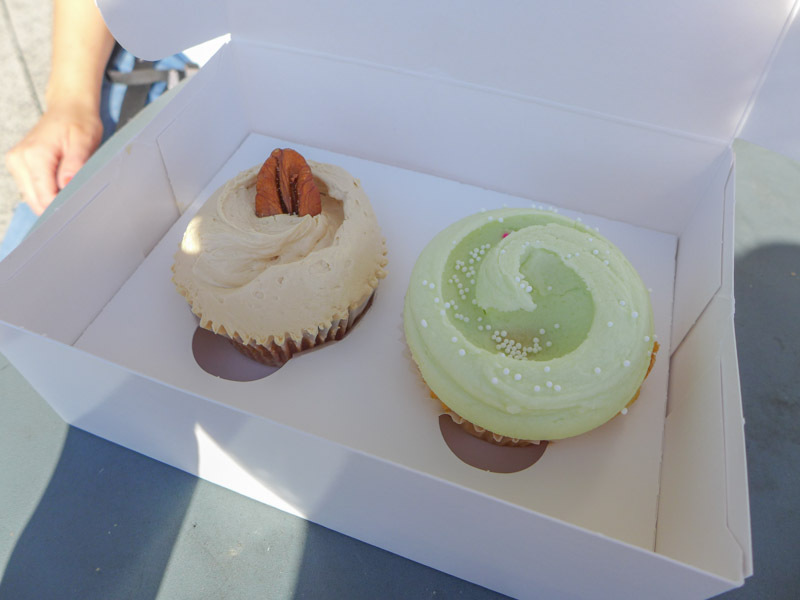 Their banana budding is better then their cupcakes, your instinct was right! Oh noo… well I’ll grab some banana pudding if I’m ever passing, but I don’t think I’ll go out of my way to head back there!